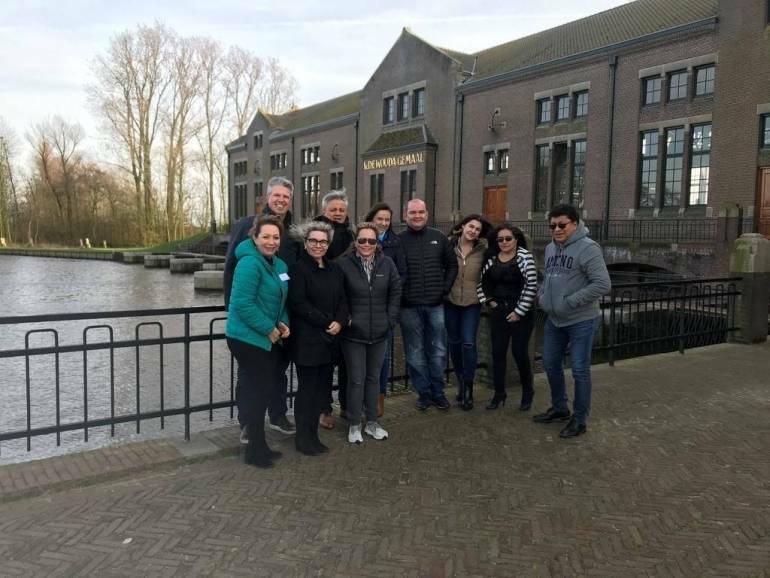 As part of the WaterworX program Colombia, VEI hosted an exposure visit to The Netherlands of our 3 partner water companies and the political director of the Vice Ministry for Water of Colombia. The visit was focused on how we manage the drinking water sector in The Netherlands and what makes the Dutch drinking water sector so efficient. For the delegation it was very inspirational to see the entire structure of our drinking water sector. The high level of hosts that received the delegation, made it all the more clear how important WaterworX is, and the level of commitment we expect of our partners to make this project a success. The program was very intense but with great fun, we managed to visit 3 of the 5 VEI partner companies, 2 ministries, the NWP, the Dutch water authorities and we managed to stop at the pumping stations in Lemmer.